Most folks caught onto Methyl Ethel’s infectious brand of electro-pop with 2017’s hit Ubu from the band’s second album Everything Is Forgotten, with it’s earworm chorus of “Why’d you have to go and cut your hair’. Recently Methyl Ethel fans have been thrilled to discover that already released singles from the new album Triage, Real Tight and Scream Whole possess the same contagious song qualities. With the self-produced Triage (Released February 15), Webb has also happened upon a fuller sounding album than previous releases, not specifically an intended goal but a result he gladly accepts. The songs come across as epic and complex yet at their heart would stand alone comfortably in a more stripped back form, which was definitely a quality he sought out when writing for the album. 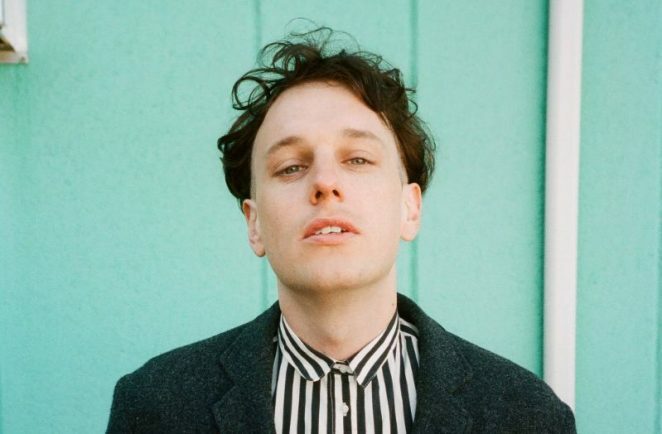 When Australian Musician’s Greg Phillips spoke to Methyl Ethel’s Jake Webb about the Triage album, he was back in his home studio continuing to create new music. Jake, you are doing quite a few interviews leading up to the release of the new album. What’s your relationship with the media like? Do you enjoy talking about your music or is it a task that you know you just have to do? Well it’s sort of somewhere in between the two. It’s something that I guess, now that I am aware of it being something that’s part of the process, part of putting music out … I’m at peace with it. You have a very distinctive sound. I’m wondering who some of the artist are who influenced you and lit the spark for the kind of music you play now? I think the spark was lit mostly by 50s and 60s pop music on compilation CDs and cassette tapes that my parents had when I was growing up but everything else is from my parents music collection. The Beach Boys and Beatles and general ones that pop up. When I got older it was weird DIY artist like Gary Wilson and Stevie Moore, people like that got me interested in making music on my own. Do you get into the history of records and how records were made? Yeah I am a bit of a music biography nerd I guess. When you knew it was time to create this album, did you have something specifically in mind form the get-go? Sonically it is more honing in on a sound that I was trying to develop with the project. It’s like, with each release being able to look back and see what I’d want to improve on and better it, so it is more just a natural extension of the other two records I have made and every thing else to date. So there were mental notes made or lessons learned from previous recordings that you took into this? Always because I don’t stop working on the next project after one is completed, I kind of just keep working. In my mind in a way with each release .. they’re like binarisms of each other in terms of light and dark and approach to music. That might sound very faffy and weird but my first EP perhaps, I think of it as being a bit more like a shiny pop record and then the next one being darker and more experimental, using them to bounce off one another. It’s like ok I did that, maybe I’ll try something else. By Triage it’s sort of trying to hone in everything. Has your method of writing and creating changed much over the years? Yes it changes quite often, song to song sometimes. Do any of the songs start out traditionally, written in one hit on a guitar or are they generally pieced together in the studio? There was one which was written on a guitar because of exactly that. I said I want to just write a song on a guitar. I think one thing that I did go into this record as a theory in my mind was that all great songs can be just reduced to somebody just sitting down with a guitar or piano and singing the melody and you can still recognise it as a great song. I wanted each song to be able to be reduced down to its fundamental pieces and still stand up. You self-produced the record. Why did you decide to go down that road? I wanted to basically back myself and take the plunge. I just saw it as being potentially more beneficial going forward to take take the risk and see if I could challenge myself. The sound seems a lot fuller than previous records, was that always the intention? I think it would be hard to set out to achieve a fuller sound. I think maybe it’s just a lucky thing … something that just happened. I find it hard to put into words. In hindsight that sort of thing is easier. The goal is always simply to try to make something that I feel to be really good but I can only go on my own instinct. Tell me about the creative relationship with Marta Salogni, the album’s engineer. What started out as just a straight out mixing assignment … I actually had in mind that I was getting it mixed by someone else and then she came in and I think we struck up such a good friendship that my creative side opened up more perhaps and I threw her in to let her work her magic, which she did to great result. Nine songs made the cut, were there many others you had for consideration? Yes. There were quite a few more, which is not to say they won’t be heard one day. Maybe soon. Similarly to the whole idea behind … trying to keep things tight and concise … I wanted to lean towards … a lean album! There are a number of songs on the album with upbeat tempos. Do you consider how many of those type of songs you need on an album? Is there a need for balance? I do consider balance quite a lot actually. That’s why I find it hard to work on just one song at a time. I’m always working on groups of songs, anywhere from four to six songs and that is exactly in order to have some balancing against each other. I think having an album in mind is quite important, to write records rather than singles but at the same time, I am learning that different ways to play with that idea and be experimental without using the technical and musical tropes of what people consider to be experimental. I imagine the track order is important to you? It is quite important. I always use to think of track order as sort of the Greek tragic structure. Like Oedipus or something, with peaks and troughs and coming to a climax. There’s always some mad, pretentious theory behind everything I do I think. What about song titles … do you think they are important or do you think a song could be called anything and still have the same impact? I think both of those things and I think I have done both of those things over time. I used to name the singles off my EPs after dog breeds but then I also have used references to things that only I know the reference. I find it quite fun but you definitely get called out on it quite a bit within the journalistic world of music if you choose to have a bit of fun. Sometimes keeping it simple is the way out. What about the gear on the album? What instruments did you play? It’s all drums, keys, guitars … there’s a bit of saxophone in there too. Real synths or software sounds? Mostly real. There’s a soft synth … it’s a Spectral synthesis, so they are samples where you can record things in the environment or put in your own samples and essentially synthesize your sounds from those. Do you listen to other artists music and then seek out sounds they are using or totally into what you create yourself? As far as sounds go, the only person who I have obsessed over trying to learn about their sound, have been producers like Arca and Oneohtrix Point Never. I think that is probably the most exciting music that I have heard for a long, long time as far as new sounds being created. I tend to find … and even with what I do as well … there doesn’t appear to be anything that sounds like the future compared to those producers. The real difficulty which is probably talked about quite a lot is how to deal with infinite possibility, that is one thing with computers and these software synths … especially if you are savvy enough to know how to get things for free on the internet, dare I say it. Then the possibilities are so, so wide and endless. Also when it comes to internet education, if you are learning how to do things from the internet, sometimes I think you tend to repeat the ideas of others. It’s difficult but we can all rest assured that there is some 12 year old, perhaps a young girl somewhere who is making more interesting music you ever will on a computer. I think that is also the beauty of that. Navigating the world of gear and things like that can be difficult. Will it be a difficult album to reproduce live? Difficult? Potentially but that’s the great challenge. We love getting together and nutting these things out, it’s always good fun. We’ve already expanded out to a five piece band and it seems to be ample at this stage. I mean who wouldn’t want to tour with a 14 piece band. I’m sure that would do the trick but we will get by with five. Five and a bit of wizardry. The album is out on February 15th. What’s on for the rest of 2019? The aforementioned figuring out the songs and just working on more new music, the addiction continues. Triage is out now via Dot Dash / Remote Control!